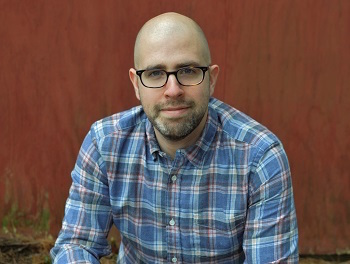 Mark Andrew Ferguson is a book marketer, graphic designer, and writer. The Lost Boys Symphony is his first novel. He lives in Connecticut with his wife and son. Click here for more stories by Mark Andrew Ferguson. Today, Mark Andrew Ferguson visits Fantasy Literature to celebrate the paperback release of his well-received debut novel, The Lost Boys Symphony, which brings mental illness, time travel, and the bonds of friendship into a compelling and cohesive whole. He was kind enough to talk with Jana about his novel, sharing insight into his writing process and an upcoming project. One lucky commenter will win a copy of The Lost Boys Symphony! The Lost Boys Symphony: If destiny exists, can it be overturned?